At some point in the constant movement of being a military family, it may have crossed your mind that homeschooling could be a better option for your kids than constantly changing schools. Between the school systems, bullying, and stress of having to start over again, many military parents are choosing at-home alternative learning for their children. The options, curriculum, and communities available are vast and inspiring, and could very well be a great fit for you and your little scholars. "In a regular public school, there is simply not enough time in the school day for the teachers to explore every student's interest thoroughly. Here at home, we can do that. It's wonderful. It's thrilling to see them get really excited about a science experiment, an art project, or an essay." Military spouse Jenny Courtney is grateful for the opportunity to stay at home and learn alongside her three daughters. In fact, she is having a more positive experience now than she did while she was in school. "I'm finding (to my great surprise) that I don't dislike math as much as I did when I was in school. I think a lot of that has to do with the girls. They're interested in what they're learning, and that makes the subject fun." The Courtneys follow an alternative learning program through Columbia Virtual Academy and began their curriculum at their last duty station in Kansas. The transition to Joint Base Lewis-McChord (JBLM) was, as Jenny puts it, "absolutely seamless". There are certain state laws that you should be aware of if you are considering an at-home alternative learning or homeschooling. In Washington state, it is required that children ages 8 and older be enrolled in public school or an equivalent education program. In order to homeschool your children, the parent must withdraw them from public school (if enrolled), and annually file a Declaration of Intent to Provide Home Based Instruction. This form is available from, and then returned to, the superintendent of the school district you reside in. There are also mandatory parent qualifications such as college level credits, attending a Parent Qualifying Course, coordinating time for an average of one hour per week for your student to work with a certified teacher, and ultimately getting the OK from the superintendent that you are qualified to provide home-based instruction. From there, you can choose to create your own curriculum, as long as it includes reading, writing, spelling, language, math, science, social studies, history, health, occupational education, and art and music appreciation. For an at-home alternative education (this is different than homeschooling), parents are still presenting and teaching their children, but the curriculum requirements and course content are provided by the district. Students are required to maintain weekly contact with certified staff, and they provide evaluations and progress reports. Many curriculums are available online. 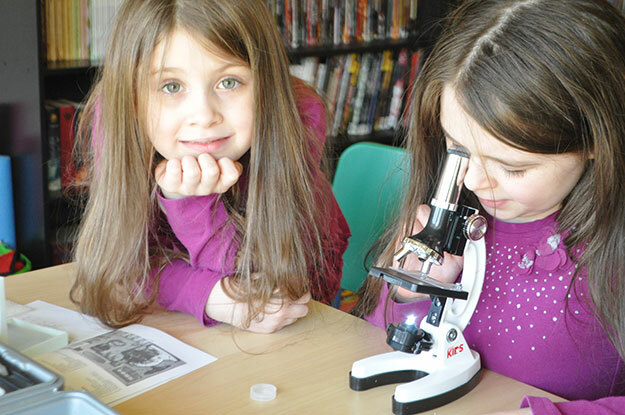 At JBLM, the Morale, Welfare and Recreation department provide many resources for homeschooling, such as youth sports, an arts and crafts center, libraries, youth centers, and more. There are also many social media groups for homeschooling and alternative learning, and many folks also use these forums as a way to meet up. The community surrounding JBLM at-home learning is wide and welcoming, and very open to answering questions. Your experience while being stationed here will certainly be a positive one, and think about how easy your next move will be without having to switch schools. If you're thinking about teaching your kids in your own home, start doing the research to see if it's right for you.